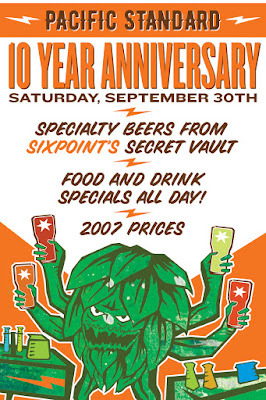 Pacific Standard Blog: 10-Year Anniversary Party Saturday, September 30th! 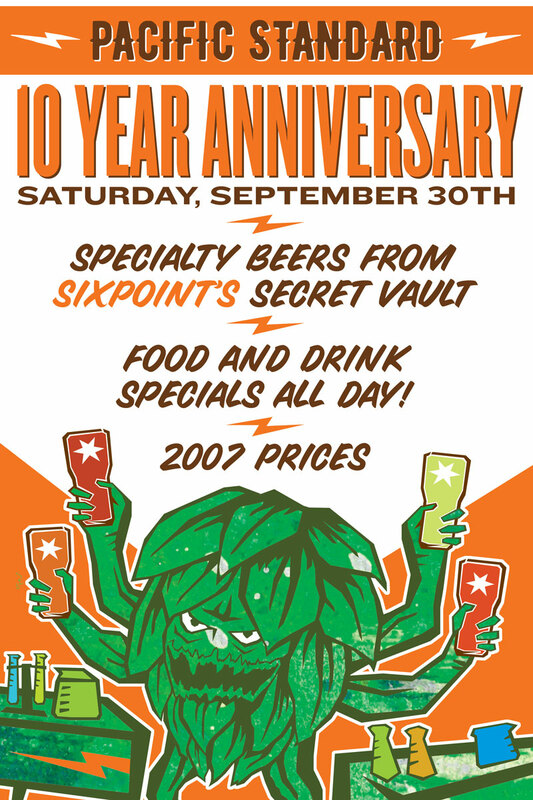 10-Year Anniversary Party Saturday, September 30th! Come by this Saturday and celebrate our 10th anniversary with us! There will be food and drink specials all day, including throw-back prices on a bunch of Sixpoint beers, as well as rare, specialty beers from Sixpoint's secret vault!